Respiratory Therapy is a health sciences specialty employed in the diagnosis and treatment of individuals with breathing disorders. Respiratory Therapists provide therapeutic and diagnostic services for pediatric and adult clients within hospitals and in the home care setting. 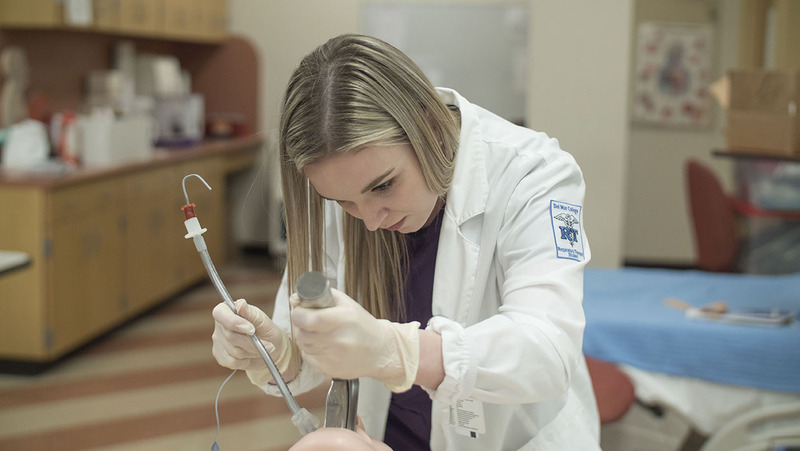 Del Mar College offers a Associate in Applied Science degree in Respiratory Therapy; a 21-month program accredited by the Committee of Accreditation for Respiratory Care (CoARC), 1248 Harwood Rd., Bedford, TX 76021-4244, (817) 283-2835, American Medical Association (AMA), and Commission on Accreditation of Allied Health Programs (CAAHEP) 35 East Wacker Drive, Ste. 1970, Chicago, IL 60601-2208, (312) 464-4623.